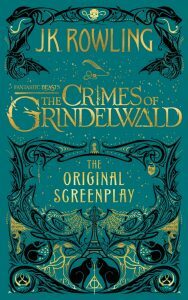 Straight from the MuggleNet page announcing the release of the Reading, Writing, Rowling podcast on Crimes of Grindelwald! Read all about it — then tune in for some cutting edge conversation about the second Beasts film. 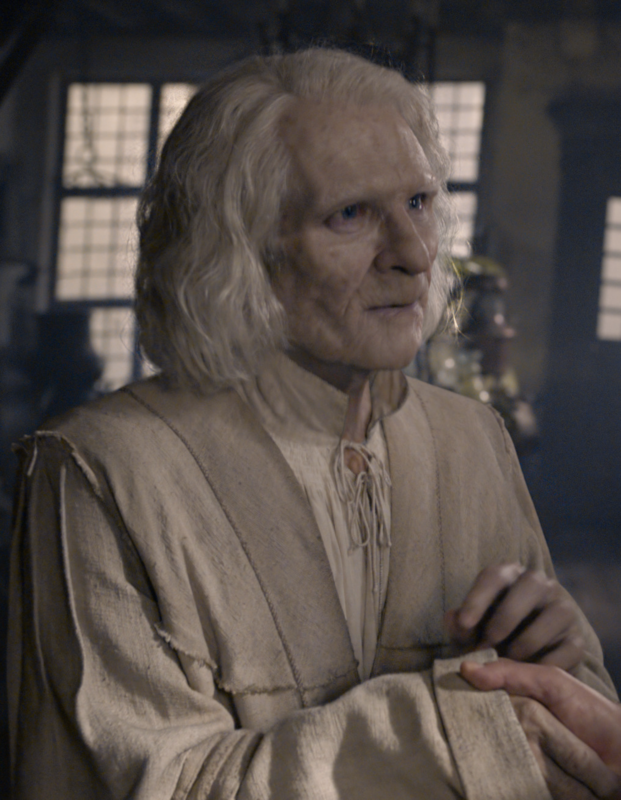 This month, join us at alchemist Nicolas Flamel’s house, where we’re searching for answers to the profound questions raised by the second film in the Fantastic Beasts series. Spoilers abound! Crimes of Grindelwald, the second movie in the Fantastic Beasts film series, left a lot of fans and critics scratching their heads. With our guests Elizabeth Baird Hardy (Mayland Community College), Megan Kelly (SpeakBeasty), and Lana Whited (Ferrum College), Katy and John investigate the mythic, literary, and alchemical references in this movie to answer key questions and decipher where the series may be headed next. Elizabeth points out that Newt’s case – which is bigger on the inside than the outside – is our first clue that this series contains much more than it appears to on the surface. Megan also reminds us that these films give us the opportunity to revisit the “Harry Potter glory days,” when we were waiting for the next installments and weren’t sure what would ultimately happen; we have the excitement of looking for clues to help us predict the series’ trajectory. We consider the criticisms of the film: in theme, plot, and character. Is this film true to J.K. Rowling’s artistic vision? Fans are frustrated with the way the series retcons certain characters and even undermines the original wizarding world vision from the Harry Potterstories. Despite the flaws (which Elizabeth likens to poisonous fangs) in this beast of a movie, there are important and meaningful ideas that enrich our view of the wizarding universe. Lana explains her groundbreaking theory about Grindelwald as a dragon (compared to Dumbledore’s phoenix), the literary and historical tradition of dragons and phoenixes, and what this hidden aspect of Grindelwald may mean for the next episodes in the series. 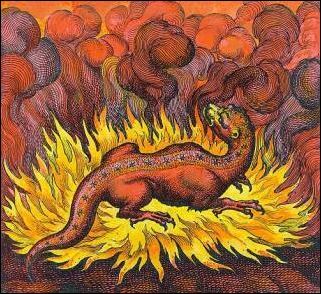 We reflect on the meaning of Dumbledore’s Mirror of Erised scene, specific beasts like the Kelpie and Pickett the Bowtruckle, Dumbledore’s Chocolate Frog card (and the twelve uses of dragon’s blood), Nagini the Maledictus, “Aurelius” Dumbledore, and Rowling’s views of the beastly potential of humanity. We also explore the movie’s alchemical symbolism (water, fire, gold, and Flamel’s role in the film’s climax), ties to King Arthur, humoral theory, and Shakespearean pairings. Hear what we think about major puzzles: What do we know about the deleted scenes and how they affected both Leta’s and Nagini’s character arcs? What is going on with Queenie? Why is Newt so important to Dumbledore’s mission? Where and when will the next film be set? J.K. Rowling has said that the end of the movie is not all that it seems, and we explore the narrative misdirection at the film’s conclusion. A treasure trove of provocative theories awaits you in this episode! Please also join the conversation via email (ReadingWritingRowling@gmail.com), Twitter (ReadWriteRowl), or our Facebook page! We’d love to hear from you. 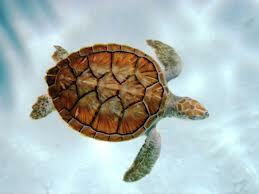 Or share your thoughts here by clicking on the ‘Reply’ button up by the post headline! 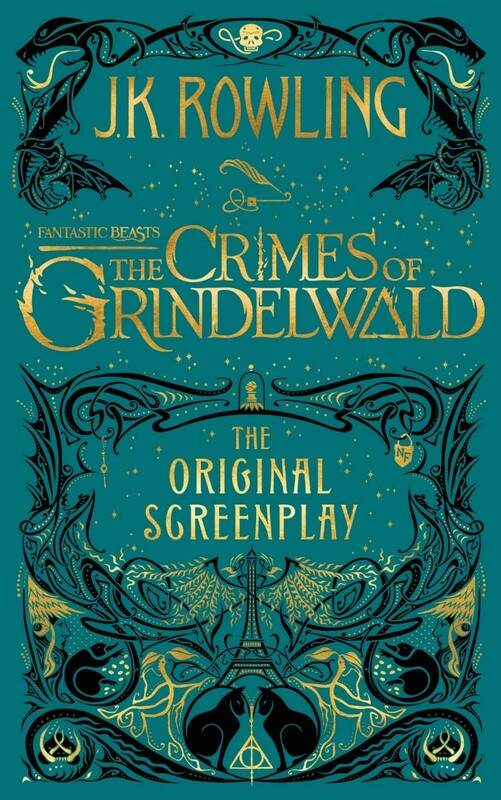 Join in the conversation and let us know what you think about Crimes of Grindelwald. Reading, Writing, Rowling: Lethal White! The Reading, Writing, Rowling podcast about Robert Galbraith’s Lethal White that I sat in on last month with host Kathy McDaniel and special guests Beatrice Groves and Louise Freeman has been posted on MuggleNet.com. It may not be the best of this program’s podcasts — how does one compare the quality of such things? — but it has my vote. Why? I’m all but certain that the guests on this show are among the most serious Strike readers on the planet, I know because I was there that the conversation was fast, fun, and challenging, and the host kept us honest and the discussion rolling at a nice clip. For Cormoran Strike fans, this is essential listening. Check it out through the link embedded in the image above — and let me know what you think by clicking on ‘Leave a Comment’ up by the post’s headline. One good conversation should jump start another! I look forward to reading your opinions of this gang’s thoughts, predictions, and interpretations. 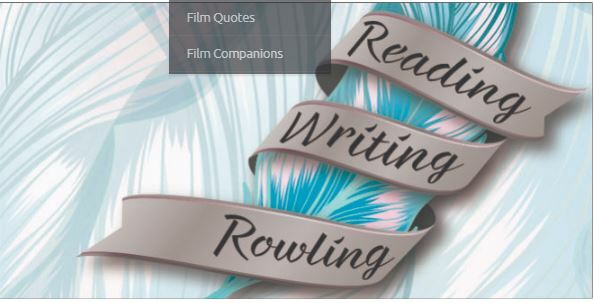 There is a new ‘Reading, Writing, Rowling’ podcast up at MuggleNet in which Prof Katy McDaniel speaks with profound Potter Pundit Lana Whited, editor of the seminal The Ivory Tower and Harry Potter and Minister of Magic for what was once the Roanoke Harry Potter Festival. They talk about Rowling, Inc.’s drive to control or just eliminate grass roots Potter Festivals on copyright grounds. Tune in here for a delightful, informative, and challenging conversation! 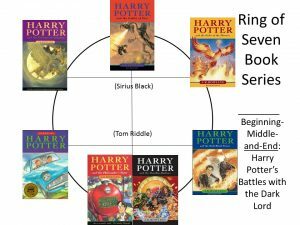 Reading, Writing, Rowling 15: Quidditch! J. K. Rowling tweeted out an answer last week to her least favorite subject — reader complaints about the scoring system of Quidditch — in which she explained that “it makes total sense.” Her conclusion was that “Quidditch is the human condition.” Right on schedule to explain that cryptic comment, Katy McDaniel has released a ‘Reading, Writing, Rowling’ podcast on just this subject with two Quidditch experts. Do you skip over the Quidditch scenes in the Harry Potter novels? Katy and guest expert Emily Strand talk with author and wizard activist Caitlin Elizabeth Harper about the meaning of Quidditch – the sport from Queerditch Marsh – for the Harry Potter series. We look at the social and cultural value of the game in the wizarding world: its role in helping Harry feel connected to this new realm, shaping identities, and revealing the character of wizard society. But as a sport, Quidditch often frustrates readers who find it nonsensical and a sideline distraction from the main story. Emily and Caitlin both explain how central this sport really is to understanding the battle between good and evil in the wizarding world. I have been podcasting at MuggleNet.com since 2011, first with Keith Hawk on a show called ‘MuggleNet Academia’ and now with Katy McDaniel on ‘Reading, Writing, Rowling.’ I do it because it is a lot of fun — the conversations with guests and the show host are almost always challenging and a delight — and because a lot more people listen to those podcasts than will ever read what I write here at HogwartsProfessor. MuggleNet is truly a global platform and it is a privilege to get to speak from it about Harry Potter, Cormoran Strike, and literature in general in this age which has largely been shaped imaginatively by the work of J. K. Rowling. There are, of course, other podcasts on MuggleNet and much more popular and less ‘heady’ ones than those in which I participate. One of the most successful is ‘Alohomora.’ The team of podcasters there have recorded more than 250 episodes devoted to a chapter-by-chapter re-reading of the Hogwarts Saga; their following is sufficiently broad that they have advertisers, a paid producer, and a real presence at the website and Fandom. To anticipate your question, no, I don’t know if there will be a ‘Part Two’ to follow-up on this ‘Part One.’ That they do not mention anywhere in their write-up of the podcast that I was a guest speaker suggests that, if they do, I won’t be invited to participate! Part One was a fun and firehose conversation, though, as none of the others knew the first thing about chiasmus or ring writing and its importance to Potter studies. Your boy Gilderoy obliged them with an hour long review and introduction to the subject. Which maybe put them off? Maybe! 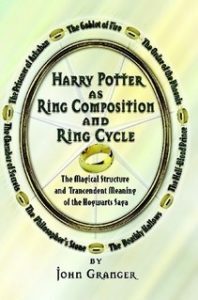 The good news is that, if you haven’t got the time to read Harry Potter as Ring Composition and Ring Cycle, and want to learn a little more about story structure and Harry’s magic, this podcast will serve as an appetizer for the subject. Let me know what you think, even if you’ve read the book, of the podcast in the comment boxes below. 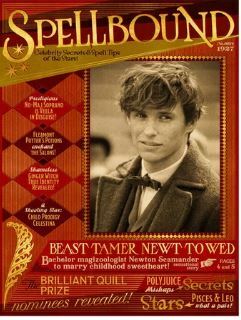 Is it possible I’ll ever be invited to ‘Speak Beasties,’ the MuggleNet Fantastic Beasts podcast franchise?